Special offer for Halloween: Wizarday Board Game Wizarday Fiction Book Wizarday Game + Book. 20% OFF normal retail Price. Best Halloween kids activities. Please don`t take our Wizarday game away. By Laura Covitz. > 15% OFF retails price for ‘‘Wizarday‘‘ and ‘‘The Two Tuba Switch‘‘. > Special books offer for School Library. The blog run by Christa Duran, mommy to little boy. The Two Tuba Switch is recommended for the 2013 Holiday Gift Guide. The blog run by Angela V. Canadian mom (originally from Colombia), living in Vancouver, mommy to little boy. The Two Tuba Switch is recommended for the 2013 Holiday Gift Guide. The blog run by Olivia L, social worker, wife, and mommy to two little girls living on the beautiful West Coast of Canada. Wizarday is recommended for the 2013 Holiday Gift Guide. The blog run by Terumi Pong, a 30-something Seattle mom of twin boys. The Two Tuba Switch is recommended for the 2013 Holiday Gift Guide for Pre-K-10 Kids. The Blog run by Liz Terek, a mother of 3 boys age 20, 18 & 10 years old, writes on daily life, rural living, and being the only girl in a house full of boys. The Two Tuba Switch is recommended for the 2013 Holiday Gift Guide for Pre-K-10 Kids. Free lesson plan for teachers available here! A super-powered resource for teachers, counselors and school administrators, our product lines created by experts in children‘s psychology and behavior. Free Lesson plan for Wizarday and The Two Tuba Switch available at the EDUCATOR tab above, for guided and group activities that encourage creativity, fun and communication. Keep students engaged while they learn important life skills. Dr. Toy Announces 100 Best Children’s Products of 2013 to be the Guide to finding the Best Toys and Children’s Products. Wizarday was rated among the 10 best educational product, an Opportunity to be of Service to Families and Schools. Dr. Toy makes buying decisions based on lasting play value and product applicability to find a good balance of children’s active, creative, and educational experiences. The durability and versatility of such items is being evaluated as blocks, construction toys, games, puppets, and transportation toys. They stimulate the imagination, engage the player, have value, and hold up over time. NASHVILLE, Tenn.--Shyness. Obesity and healthy eating. Family dynamics. Daily routines and effective communication. These are just some of the challenges today’s children and families face. But one company, Toys ‘n Tales, is tackling these problems head on and helping kids discover their own “super powers” for conquering them. Toys ‘n Tales creates books, games and toys that are designed to teach kids how to face tough issues by using strategies, such as: communicating their needs and feelings in productive ways; understanding the reasons behind their behaviors; realizing their role within the family unit; and feeling more secure and in control of their day-to-day lives. “The lessons children learn from our products can help them to succeed now – and throughout life,” said Steven Tobias, Psy.D, psychology consultant and director of the Center for Child and Family Development in New Jersey. • Toys ‘n Tales will make its debut appearance at the 2013 ASTRA (American Specialty Toy Retailers Association) Marketplace & Academy June 16-19 in Nashville, Tenn. With a rebranded look, updated website and new products, Toys ‘n Tales will feature Ask a Doctor sessions at Booth 235 for attendees to get expert advice on kids, the issues they face and the power of play. • The Wizarday game was selected to be played at “game night,” one of the most popular events with vendors and retailers, where game manufacturers can demonstrate their products to retailers. 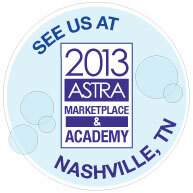 The 2013 ASTRA Marketplace & Academy is the year`s BIGGEST gathering of the Specialty Toy Industry, to be held in June 16th - 19th. ToysNTales will exhibit in booth 235, come visit us! The American Specialty Toy Retailing Association (ASTRA) is a non-profit association with 1400 members that provides leadership and resources to grow the specialty toy industry. It is the largest association serving the specialty toy industry. At Toys and Tales, we have a team of top-notch children specialists who‘ve created all sorts of ideas for helping kids handle the tough stuff of growing up. From dealing with how to overcome shyness in children, daily family routine, daily chores to healthy eating and communication, we‘ve secretly stashed helpful tips into all our educational children books, toys, board games and card games. But don‘t tell the kids!! They‘ll be having so much fun, they won‘t realize they‘re learning super important life skills that they‘ll use the rest of their lives! We hope you will enjoy the results. Bethel CT (July 2011) - Over 100 moms, educators and child psychologists reviewed new products, on behalf of Creative Child Magazine, to judge one product to be the best product of the year. They chose Wizarday to be the best product of 2011 at the “kid`s board game & social skills/self discovery” category. IBPA, the Independent Book Publishers Association is a trade association of independent publishers. Founded in 1983, it serves book, audio, and video publishers located in the United States and around the world. NSSEA is the leading trade organization for the educational products marketplace. Founded in 1916, NSSEA promotes an open market for quality educational products and services that are produced and delivered by professional suppliers and dealers. 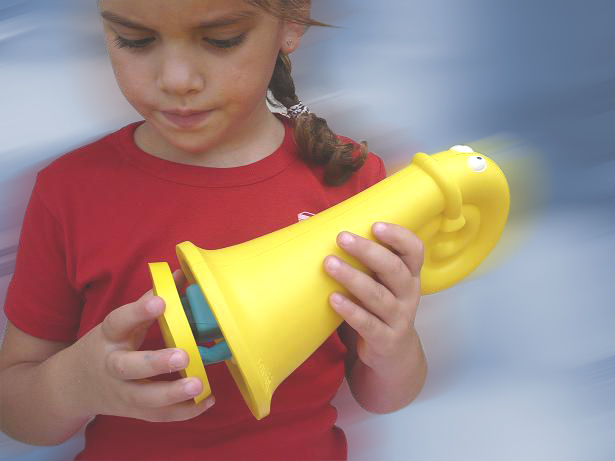 ‘The Two Tuba Switch‘‘ story picture book, tuba toy and set of 3 character toys have been tested and certified routinely by a third party, an independent safty testing lab, no less than a governmental lab, and was found to be comply with ASTM F963-7. Detailed report on Resale page. More Quality Educational toys and books now! Children read, write, re-write, and play! Amazing activities and illustrations as children gain basic learning skills while having fun. Learn Time - recipient of iParenting Media Award! NEW Educational Children Book! WIZARDAY. Daily chores and family responsability like never before. Time management for family - the foundation of well being for young children. This book provides an innovative venue for families to create a healthy life based on respect and communication. Talk it out! Listen in! NEW! Ask a Question - Get an answer! Just look for it in the Parents‘ page. Maybe you can find your answer right now! If not - Ask away and be sure to look for our response. Midwest book review granted an excellent review on Dec. 2010. American Chronicle journal granted a 5 stars ranking on Jan. 2011. Having trouble uploading the files? Let us know from the “Contact Us” page. You can also send us the files by email and we‘ll upload it for you. ‘‘The Two Tuba Switch‘‘ story picture book and set of 4 character toys complies with ASTM F963-7. ASTRA’s (American Speciality Toy Retailer Association) mission is leading the way through play by providing quality products that help children have fun, achieve success and lead happy, healthy lives. Dealing with challenges using a story picture book and relevant toys. The indirect scenic route to your child‘s heart!